South Africa’s population pyramid, dominated by children and youth, is typical of a developing country. 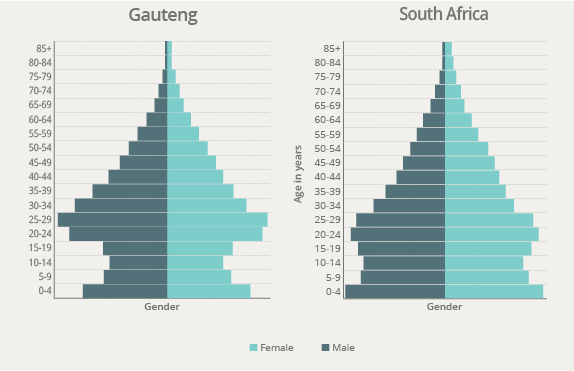 Gauteng's population pyramid has a clear difference, namely we ‘bulge’ in the working age population – 20 to 39 – where the national picture ‘bulges’ below 29 years of age. This is another reminder of the magnetic pull of the GCR.